The Oxford Board of Aldermen approved a change to the city’s laws that would allow craft beer stores to serve samples. Photo by Steven Gagliano. Craft beer stores in Oxford can now serve samples of their products to customers. 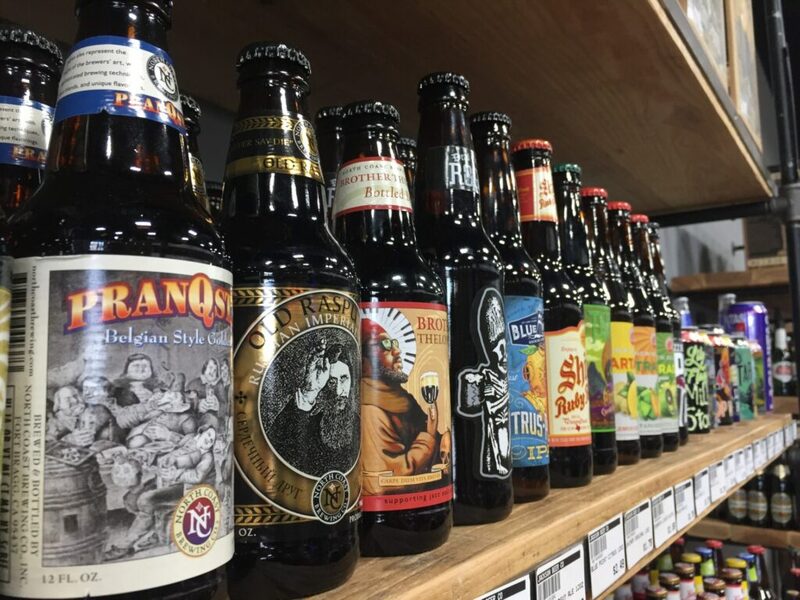 On Tuesday, the Oxford Board of Aldermen voted 5 to 1 in favor of approving an amendment to the city’s Alcohol Ordinance to allow for a limited number of tastings at craft beer stores that meet certain criteria. The new ordinance will go into effect in 30 days. In January, the Board was approached by craft beer store owner Allen Jackson who asked the Aldermen to consider changing the city’s law that prevented businesses that sold beer for off-premise consumption from offering their customers a glass of beer while shopping in the store. Jackson sells bottled craft beer and growlers (large cups that are sealed closed) at his Jackson Beer Store on West Jackson Avenue. Aldermen Ulysses “Coach” Howell, who has traditionally voted against laws regarding alcohol sales, was the dissenting vote. Aldermen Jason Bailey was not at the meeting due to a family commitment. In the ordinance change, craft beer stores would have to meet the following requirements before being allowed to serve cold beer to their customers: They would have to follow the city’s safety ordinance for all businesses that serve alcohol; they must specialize in the sale of draft beer; the establishment must maintain a minimum of eight functional draft beer taps on location; they could not sell other types of alcoholic beverage and not have an on-premises retailer’s permit from the Alcohol Beverage Control Division. If the business meets the requirements, the store could only provide beer for on-premise consumption, for tasting or sampling, between the hours of 10 a.m. to 11 p.m., Monday through Saturday and 11 a.m. to 9 p.m. on Sunday. No one under 21 could partake of any beer sampling. Any individual tasting or sample size served for consumption, shall be served in a disposable cup and restricted to not exceed 1 ounce per serving and not more than a total of 5 ounces per individual within a 24-hour period. The craft beer stores must also meet all state and federal health and safety regulations for an establishment allowing on-premise consumption. Read the entire approved ordinance amendment here.